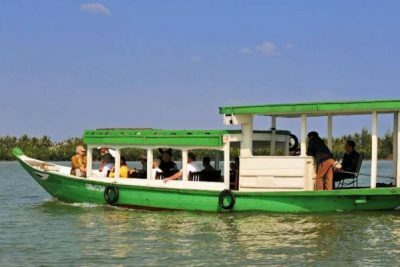 If you have some days in Hoi an and want to discover this town in another aspect, a boat tour to explore the cultural village is the best choice. Book Now! 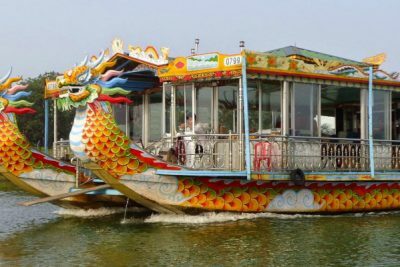 Cruising along the River by Dragon Boat Tour, you will enjoy a relaxed time, and experience Hue and see all its beauty while in the Perfume River. Book now! 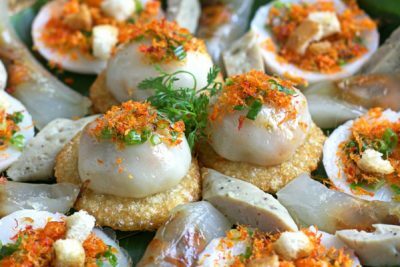 Hue city is famous for the delectable traditional dishes that are hard to replicate. Our Hue food walking tour tastes Hue street foods by step. Enjoy now! 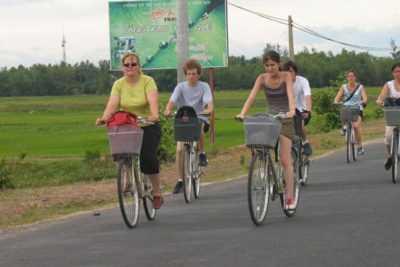 Explore the hidden beauty of Hoi an by joining in Hoi An bike tour, a combination of 5 interesting activities. 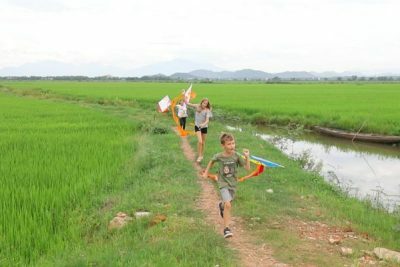 Have a real feeling about the countryside in Vietnam. Hoi An is 73 kilometers away from the Chan May Port. 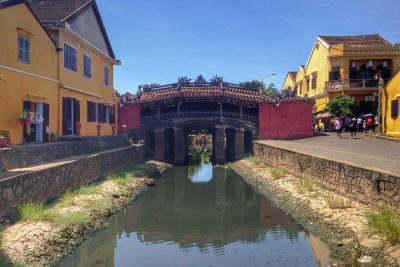 Hoi An is one of the most visited place in Vietnam due to it's unique architectural features that goes back centuries ago during the town's trading boom. This small well-preserved and colorful town is surely a place you should not miss when you're in the country. 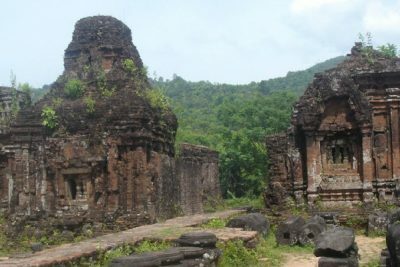 Join Chan May port to Hoi an tour 1 day now! 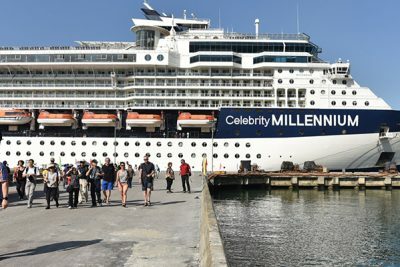 Hoi An is 35 kilometers away from the Tien Sa Port. Hoi An is one of the most visited place in Vietnam due to it's unique architectural features that goes back centuries ago during the town's trading boom. This small well-preserved and colorful town is surely a place you should not miss when you're in the country. 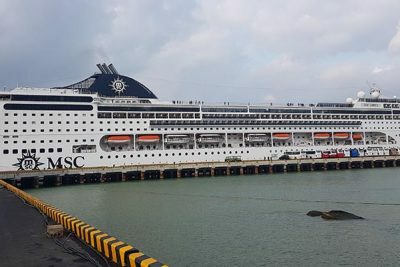 Vietnam's previous capital, Hue City is 106 kilometers from the Tien Sa Port. As the capital for the last royal dynasty of the country, Hue has so much to offer for tourists who are on cruise and have limited time to stay in the city. 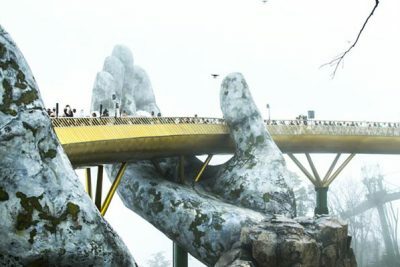 With the world’s longest single cable car system and amazing scenery from the sky, beautiful old French village, many adventure games and especially the amazing Golden Bridge, Ba Na hills is always a very attractive place for both domestic and foreign tourists . 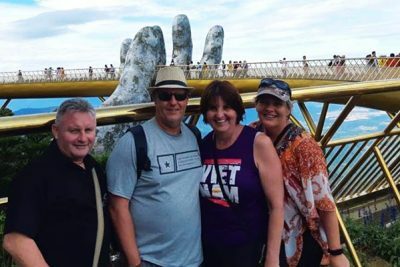 Join in our Ba Na Hills 1 day private tour, you will have a chance to explore all of these places in Ba Na hills just in 1 day.